A cozy outdoor kitchen creates a large impact in a small space with high-quality cabinets and design. 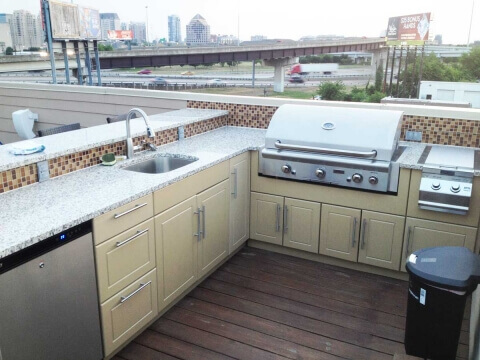 Most importantly, an outdoor kitchen creates an inviting environment versatile enough to cater to any type of gathering, In other words, an outdoor kitchen is a key component to outdoor family dinners, game nights, BBQs and much more. 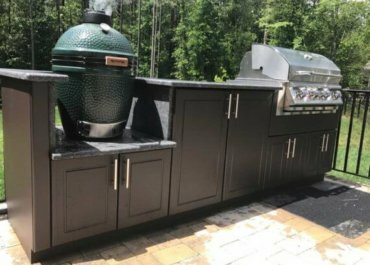 In addition to working with a smaller outdoor kitchen, you are able to utilize smaller quantities of high-end materials that won’t break the bank. 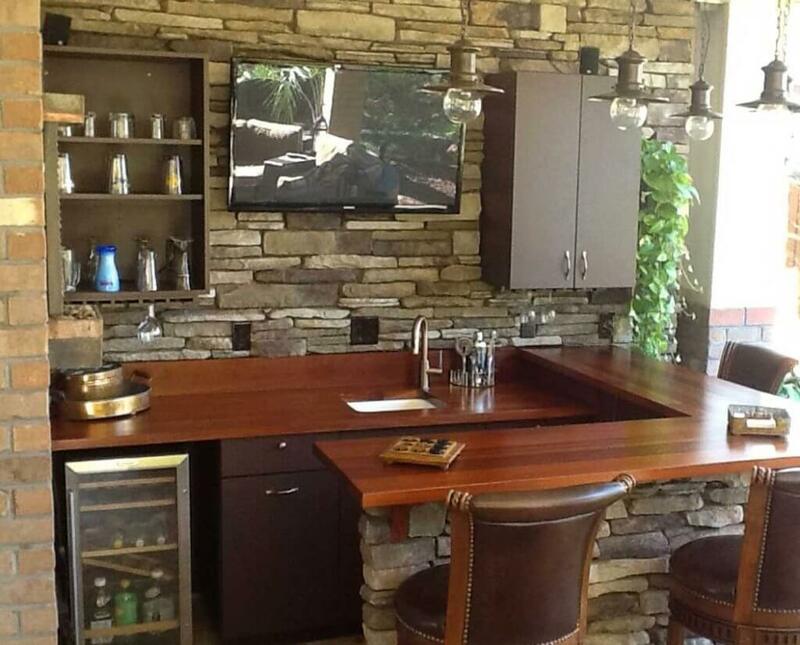 When designing your outdoor kitchen, incorporate simple amenities that go a long way. For instance, a beverage cooler, storage, and countertop space are must-haves features more people incorporate in their projects. Therefore, focus on the necessary essentials, features, and functions you’ll utilize the most. 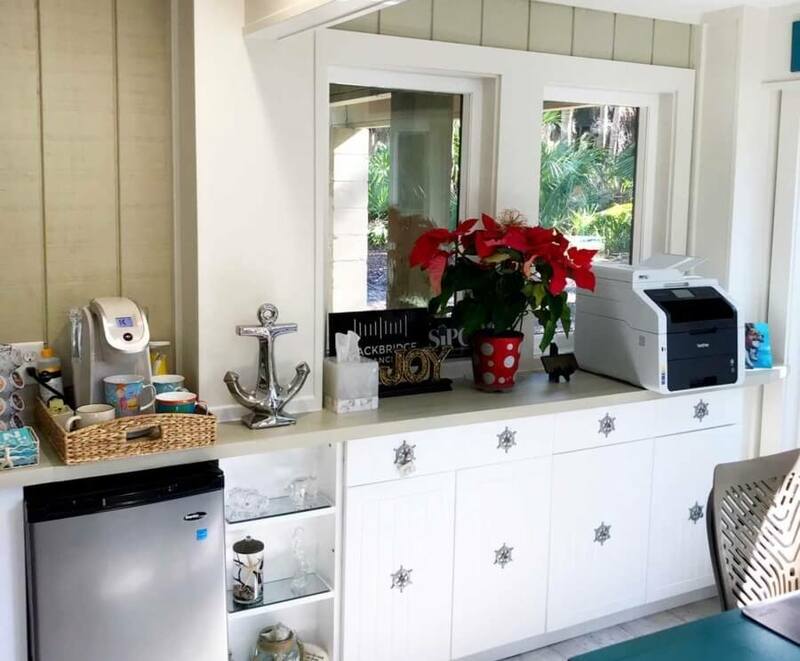 Add a subtle touch to your sunroom by incorporating a custom outdoor cabinet that features a small sink, and an under-counter beverage cooler. A fun theme can add a creative twist to your outdoor space. This Nautical inspired outdoor cabinet features sea-life hardware and decor. An outdoor kitchen over-looking the city proves you do not need a ton of square footage to build an impact. Simple amenities pair nicely with outdoor grilling and cooking. This English-Pub inspired outdoor kitchen with breakfast bar-style seating works great for entertaining friends and other social gatherings. 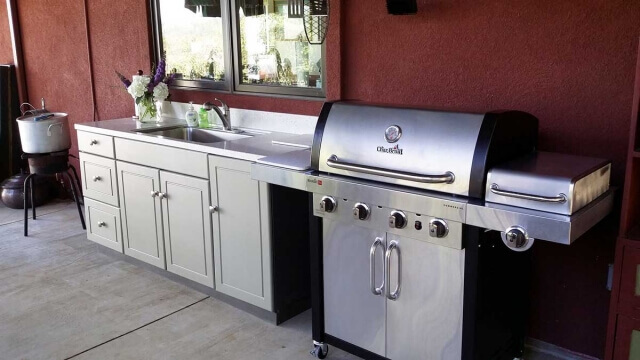 Lastly, if you already have an outdoor free-standing grill, add outdoor cabinets for extra countertop space, storage, and a wash sink for quick clean-ups. 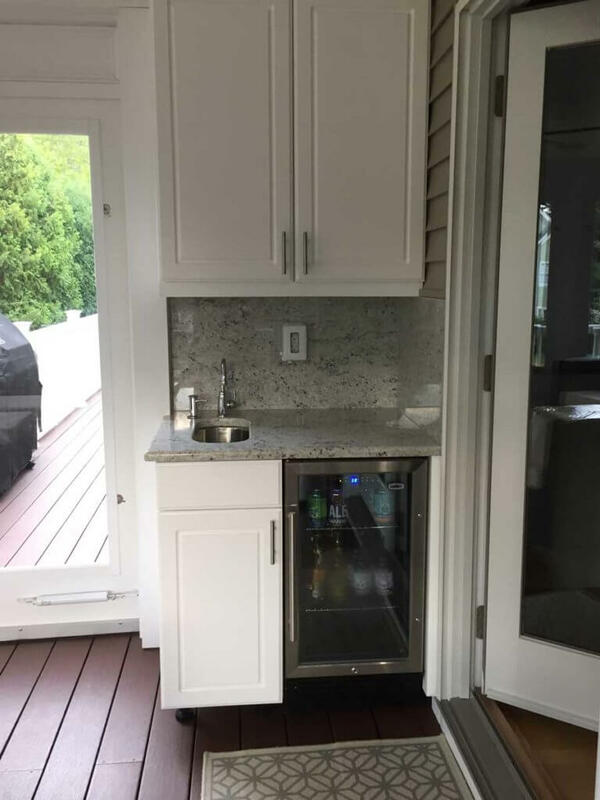 Other small outdoor kitchen ideas and amenities worth exploring; an outdoor juice bar, pizza oven, wine cooler or perhaps more storage space. In conclusion, sometimes sticking with the basic essentials can be the most rewarding. For more helpful information contact a Werever Designer.